Wink eyelash and eyebrow enhancer is a hormone-free, hypoallergenic formula that stimulates hair follicles and increases growth. 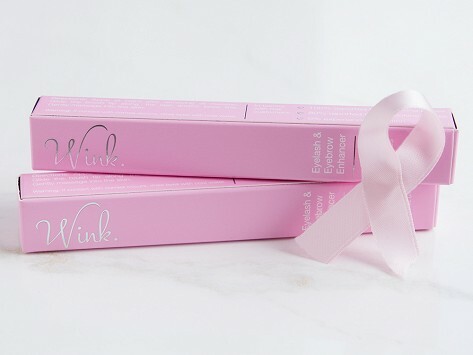 Plus, for every bottle sold, Wink donates one bottle to a cancer warrior to help regrow their lashes or brows. Fluid Content: 0.08 fl. oz. Noticeable results and for such a great price. I really like this product. It did take about 2 months. Puts prescription grade alternatives to shame for 1/2 the price!! I'd give this 10 stars if they had the option. I have been purchasing lash lengthener from my physician for several years. It did help my lasheslp my lashes grow longer again but I've also had to resort to perming them every couple of months so that they didn't look like long black sticks. The product gave me length but no fullness. I decided to try Wink because it was less than 1/2 the price of the product I was using. To my AMAZEMENT my lashes grew fuller within the first couple of weeks. They now have the natural curve back and I don't have to pay for perming. Wink is saving me a fortune and doing a FAR superior job to anything else on the market. You just have to try this stuff to believe it. As a Breast Cancer survivor I'm hopeful this will assist with the return of my lashes and brows. I have not seen a difference yet but Rome was not built in the day. 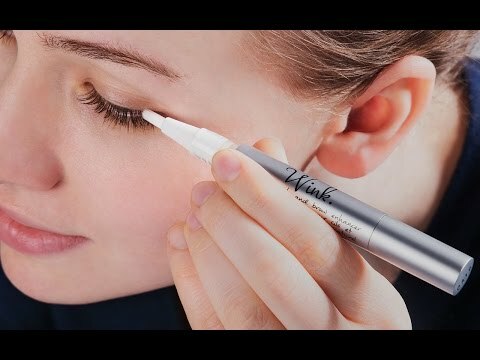 Wink is the brainchild of Megan Cox, a self-professed "cosmetic-crazed science geek from MIT" whose quest for beautiful lashes led her to create an all-natural, hypoallergenic solution that stimulates the hair follicle to leave the "resting" phase and enter the "active" phase. In addition to encouraging natural eyelash and eyebrow growth, Wink also acts as a conditioner to help strengthen and prevent further breakage. Specifically formulated to be gentle on the skin, Wink appeals to people of all ages and all stages of life; it has even been used by those recovering from the effects of chemotherapy. One bottle goes a long way, containing a two-month supply for both lashes and brows. Apply daily for visible results in as little as 2 weeks and full results in 8 to 12 weeks. Unlike other cosmetics, Wink doesn’t just mask the problem—it helps solve it.